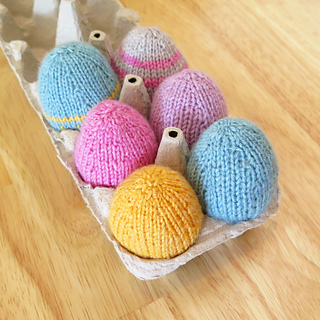 These charming eggs are a wonderful way to celebrate Easter! 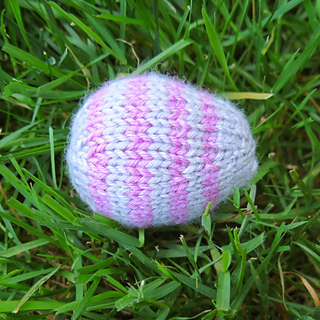 Knit seamlessly in the round, from the top to the bottom, they’re a quick and fun knit. 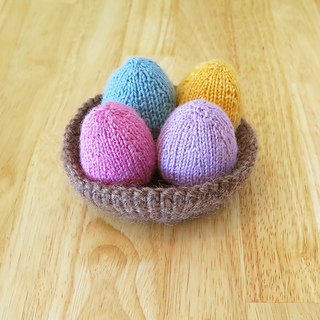 Make for a child’s Easter basket, or for decorating your home to celebrate spring’s arrival. 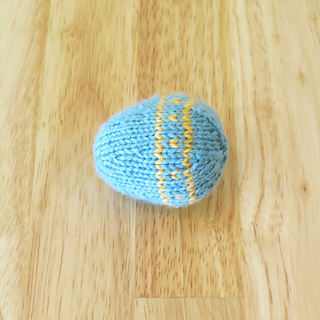 This pattern calls for one color per egg, but they also look great with color work. 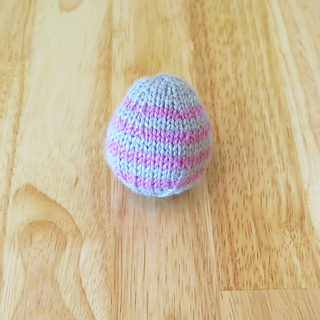 I’ve included photos that show the eggs with basic color work techniques (stripes, stranding). 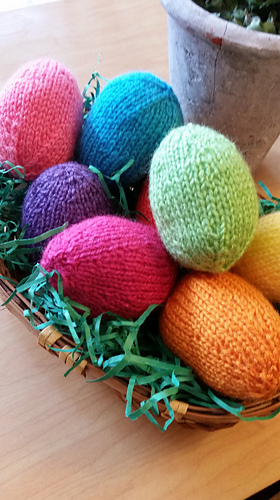 Have fun with these, and snazz them up to your heart’s content! 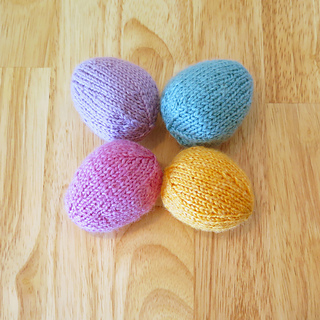 Note: You can make several eggs from one skein of yarn, so you can use as many (or as few!) colors as you’d like.